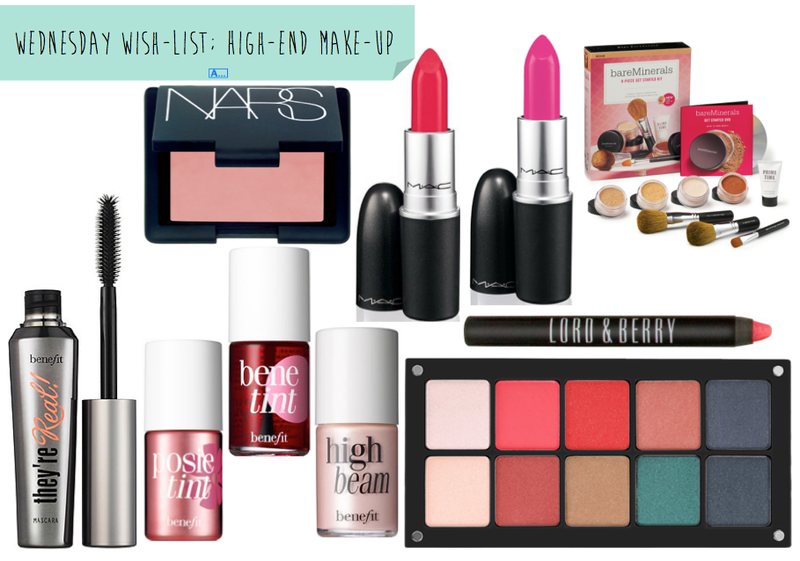 wish-list wednesday #1; high-end make-up. Welcome to my first of my wish-list wednesday! I wanted to create a series to get myself into a blogging schedule, and I've been eyeing up some high-end products for some time now, so what a way to welcome this series idea. As of late I've become addicted to make-up products and whenever I walk through Debenhams or Selfridges I have to pull myself away from any of the beauty counters. Specially since no longer being able to have the help from student finance & still job searching, I can't seem to justify such expensive purchases. I bought my first MAC lipsticks back in April post, here and honestly I've been slightly hooked. We went into Selfridges a few weeks ago & I left with my hand filled with swatches and ever since I've wanted both Relentlessly Red & Candy Yum-Yum since…and I've probably mentioned it several times in other posts since. The reason I was in Selfridges was a beauty event at Bare Minerals, so the starter kit has made it onto my list. Still uhmming & ahhing whether or not the price is worth the products, but all the same if I could purchase it, I probably would! Back in March I heavily hinted on wanting some Benefit products for my birthday, but sadly I'm yet to get my hands on the products. I'm obsessed with mascara's so They're Real has been on my list for a while & lately I've been a little interested in experimenting with the tint's. My last three products are brands new to me, but I've seen so many beauty bloggers mention them, talk about them & well they just look pretty!? I've become so obsessed with lip products lately so obviously a Lord & Berry lip crayon has made my list! I've also become curious to start using blushers and this cream blush from Nars seems a light enough shade for a 'beginner'…I like seeing colour on a persons cheeks, but subtle colour rather than something too bold, so it seems perfect. And my final product on my wish-list is a Inglot palette, I've seen so many mention it lately & I've watch a few hauls lately from peoples trips to iMats many people bought one of these palette…I was only looking online at the options available & this palette was the image of the 10 palette, and although these would be purchased separately I've slightly fallen in love with these shades, so I may need to take note of each shade and start my collection. Are any of these products in your wish-list? or do you own & love/hate any of these products? I hope you enjoyed the first in my series of weekly wish-lists. Benefit's They're Real is my most favourite mascara ever! It's a bugger to wipe off (I swear they put glue in it!) but I've never found a mascara that's came close to it since! Is it not everyone's wishlist, everything is soo expensive :(!! I HIGHLY recommend the Bare Minerals starter kit, it's well worth the ££ in terms of what you get, the brushes are brilliant if you look after them and it's a great way to try a full face of make up from one brand. I bought my first one a few years ago and haven't looked back! Ah that's good to know! I may have to start saving my pennies and purchase it some time in the future! That's what I thought when I first tested the foundation & the lady at the counter really sold it to me, best start saving the money now everyone's saving it's worth it! I can't believe I didn't know about them, even the palette packaging looks pretty! 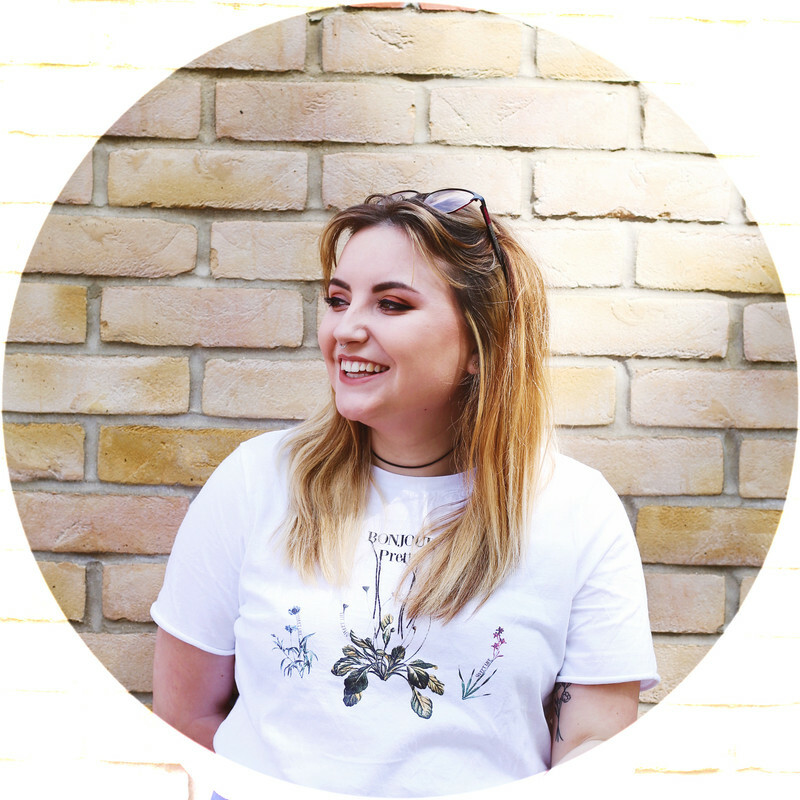 You're definitely not alone, though I have tried a few products…I haven't tried them all and I'm itching to get my hands on so many of these products, I just hope it's soon!